Electric cars are becoming more practical every year — but not so much in cold climates, where low temperatures wreak havoc on battery storage capacity. According to CNET, electric vehicle (EV) maker Tesla is working to change that at a “secure facility” about two hours from Fairbanks, Alaska, where company engineers are working to develop EVs that can handle safely and operate efficiently in the icy cold. Before CNET editor Tim Stevens, no journalist had been allowed at the facility. He found a no-nonsense facility that the military has also used to test advanced vehicles, and reported that he had a blast tearing up the snowy course in a Model S.
“I got to drive it all and was left with the overwhelming impression that Tesla’s test engineers are a pretty lucky crew, with access to the ultimate low-grip playground all day, every day, the only penalty being its frigid and remote location,” Stevens wrote. While Stevens discussed the challenges of developing batteries that perform well at low temperatures, his reporting mainly focused on Tesla’s efforts to develop vehicles that handle well on snow and ice. But he did suggest that the company’s engineers are working on strategies to make more efficient use of power in freezing conditions. 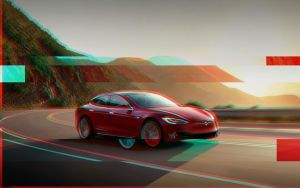 “And while handling and safety of course are a major part of the equation, Tesla tunes the HVAC behavior of its cars here as well, honing their ability to perform efficiently in extreme conditions,” he wrote.